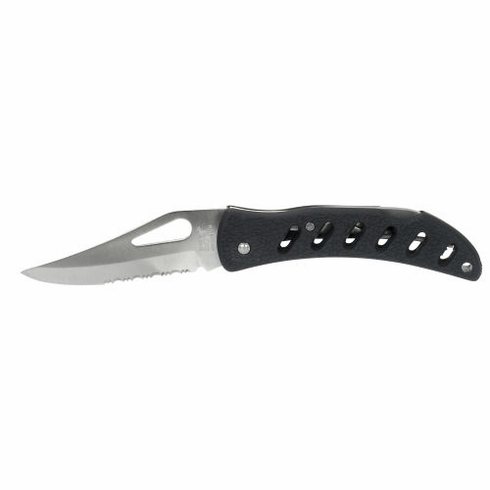 THE VENTILATOR, IS A 3 3/4" CLOSED HALF SERRATED STAINLESS STEEL BLADE, WITH LINER LOCK, AND A BLACK PLASTIC HANDLE, WITH STEEL BELT/BOOT CLIP. IT IS A GREAT KNIFE FOR ANY ONE THAT LOVES THE OUTDOORS. FISHING,HUNTING,CAMPING,ETC.